If lithium was the story of 2016 and cobalt is the story of 2017, then 2018 could well be a year for yet another resurgent metal with commercial market ambitions: Zinc. Non-precious metals including cobalt, zinc, copper and iron ore have all staged recoveries this year and last. In response, miners are coming out of the woodwork like bears out of hibernation. 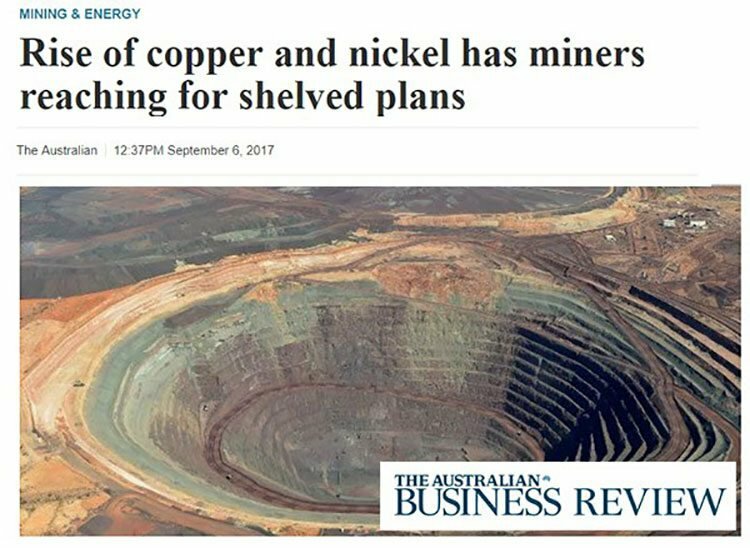 The timing is rather convenient for Victory Mines (ASX:VIC), a company that has recently bagged a zinc-lead-silver-cobalt project, situated close to existing infrastructure, in the abundantly-mineralised Kimberley region. VIC has acquired the Bonaparte Project, a high-grade polymetallic asset already dishing up high grades, including in excess of 28% lead, and high-grade zinc of up to 43% in rock chip samples taken so far. 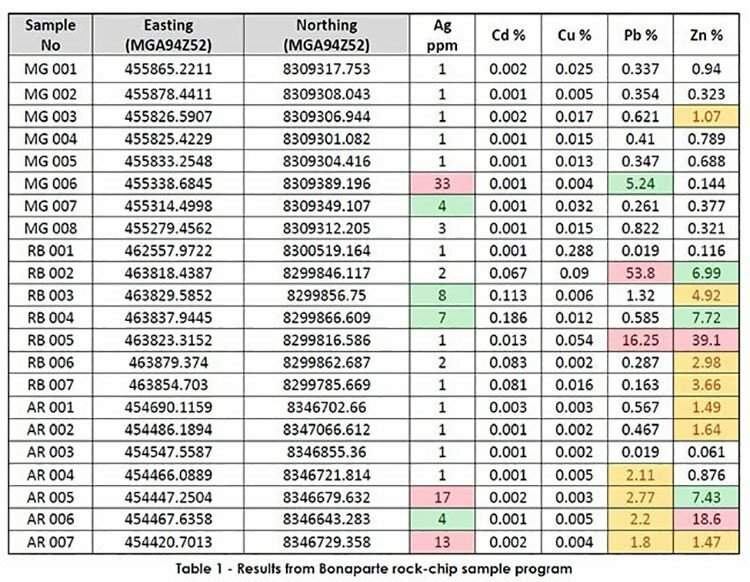 You read that correctly: VIC has stumbled upon rock chip samples grading 28% lead and 43% zinc. In light of these high grades, VIC is focussed on unlocking polymetallic potential at the project. VIC’s landholding spans 550 square kilometres and is located close to existing Resources and other high-grade prospects. VIC also sports an estimated non-JORC compliant Resource of 150,000t averaging 2.25% zinc on the exploration licences with significant scope for JORC conversion and extensions to the current ore body. As long as VIC substantiates its good position with high-grade mineralisation over the coming weeks, we could see a significant share price revaluation — which is exactly what we small-cap-focussed investors are on the lookout for. Of course, as with all minerals exploration, success is no guarantee — consider your own personal circumstances before investing, and seek professional financial advice. 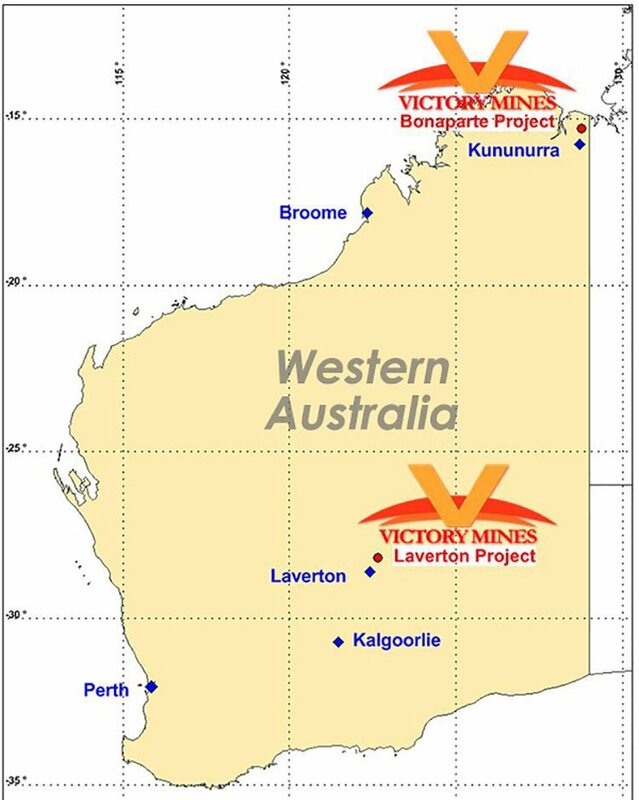 There is substantial forward-looking potential over at Victory Mines (ASX:VIC). Its two prime projects are Bonaparte and Laverton, and both stand a strong chance of delivering commercial spoils. Before a drill-bit has even touched the ground, VIC has some excellent early technical data. Starting with its flagship Bonaparte Project, let’s delve into VIC’s assets and look at how it could benefit shareholders. 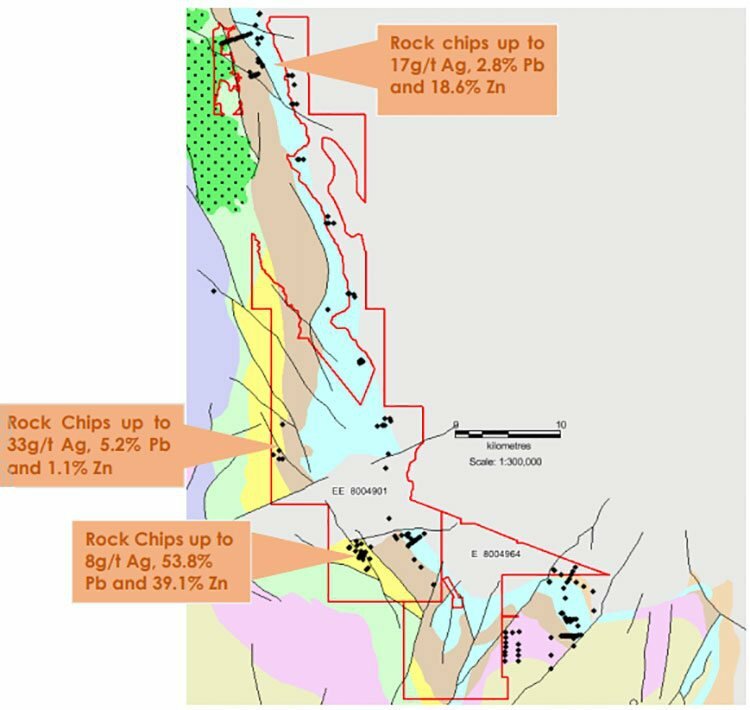 VIC announced up to 33g/t silver, 53.8% lead and 39.1% zinc from a rock-chip sampling program at its Bonaparte Project. The above results were sufficient for VIC to pull the trigger on a detailed ground gravity survey at Bonaparte, right off the bat. The gravity survey will cover approximately 100 square kilometres over areas considered to be the most prospective including the Redbank and Martins Gossan, as well as structural features defined from an EM survey completed by a previous explorer in 2010. 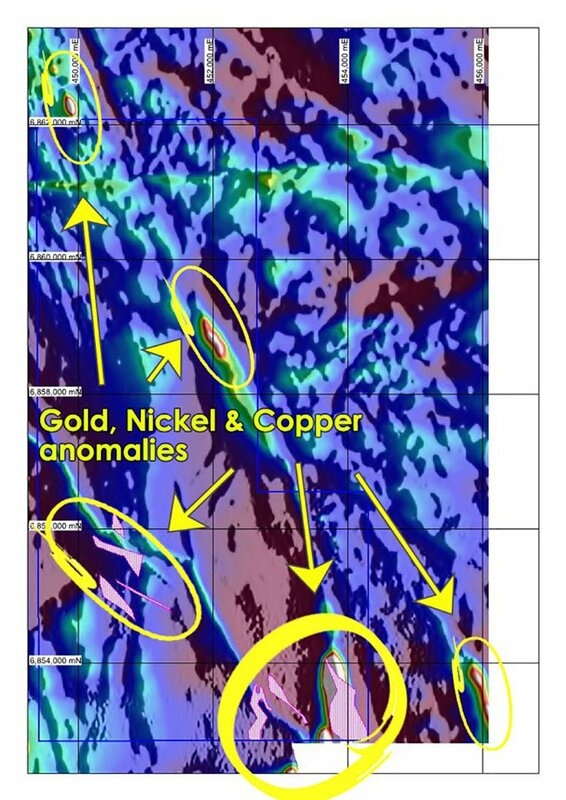 The gravity survey is likely to confirm/deny the presence of strong mineralisation, and will also establish future drill targets in the region. The results should be available within weeks and could serve as a neat catalyst for both VIC’s exploration ambitions, as well as its prevailing share price (currently trading at ~$0.05 per share). When combined with work carried out at the Laverton Project, VIC now has two definitive pathways to a strong metals Resource. In a similar vein to its work at the recently-acquired Bonaparte Project, VIC’s Laverton Project produced some initial bonanza-grade samples, which raised confidence and justified the company’s decision to conduct a ground electromagnetic survey. VIC has previously identified nickel, copper and gold anomalies at Laverton, with nickel anomalies up to 1.25 kilometres in strike and 350 metres wide , copper anomalies up to 1.25 kilometres in strike and 250 metres wide and gold anomalies up to 900 metres in strike , with most anomalous areas appearing to be coincident with major geological structures. Which means it may be time to place VIC securely in your stock watchlist. Once complete, VIC will use the results to define further exploration targets and improve upon its Resource estimate as and when VIC gets down to feasibility studies. 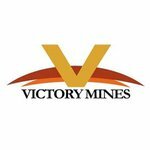 VIC has now been granted permission by the Bolivian state mining company, Corporacion Minera de Bolivia (COMIBOL) to commence a feasibility study on a number of its existing tailing sites, plus four new additional sites identified by the Victory Mines board and Victory’s Bolivian Country Manager, Alberto Galvez. As we first mentioned in our VIC launch article in July , VIC has a sizeable interest in its tin tails project in Bolivia. It has engaged the Bolivian Mining Research Institute to assess the range of tin tailing areas at its X area in Bolivia. 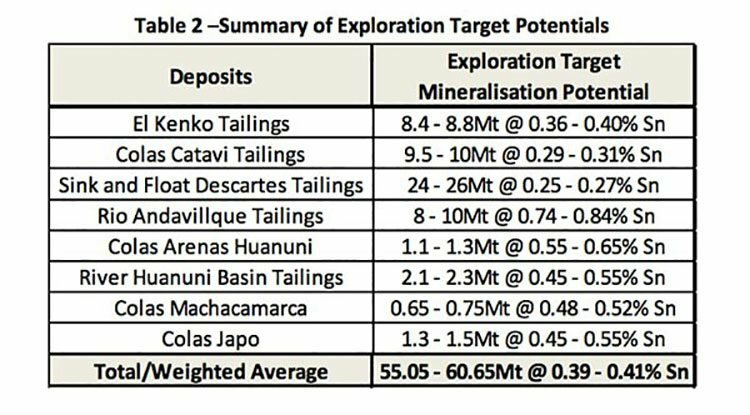 As part of the upcoming program, VIC will sample tin tail deposits at Sink & Float, Arenas Catavi, Kenko, Rio Andavillque, Huanuni and Japo deposits with a total of 137 holes on variable patterns from 50 x 50 meters to 150 x 150 meters. By the end of the program 1128 samples of 5-10 kilograms will have been collected from drilled material. Market sensitive drilling results are expected sometime in December 2017 following the completion of laboratory analysis to evaluate volume and grade of tin and other metals in each deposit. This fits neatly into the commercial ramp-up VIC is currently orchestrating. VIC’s ultimate goal in Bolivia is not too dissimilar to its intentions in WA — build up an arsenal of prospects and define a bulky exploration target, commence feasibility studies as soon as practically possible, and execute a binding production contract with Bolivian state mining company COMIBOL. The feasibility study is intended to define the technical and economic description of the tin processing plant and will take approximately six months to finalise. The cost of building the process plant (CAPEX) and the cost for operating the plant (OPEX) will be estimated in the feasibility study. The projected cash flow for the period of plant operation and other financial indicators will be calculated to prove the profitability of the project. That’s exactly the kind of stuff resource juniors need to be doing to get their company valuations moving northwards. 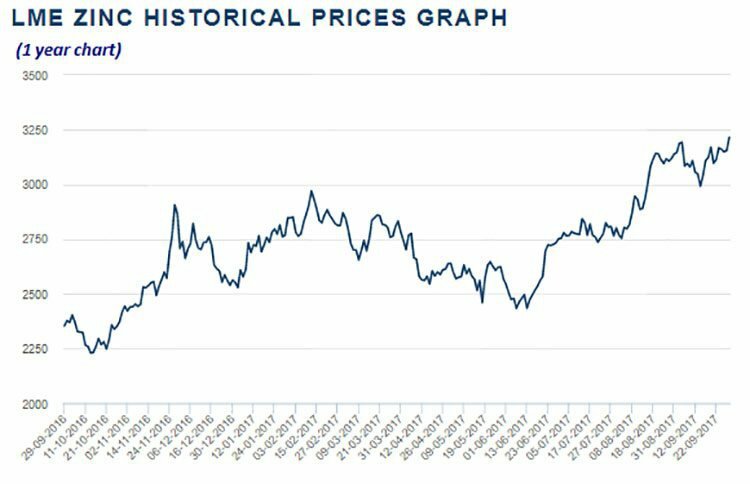 Resurgent metals such as nickel, copper, zinc and iron ore (among others such as lithium and cobalt) are seeing their highest prices in years. This translates to a growing line of Aussie explorers with reinvigorated project economics. Over the past year, explorers have reached for their shovels and headed into the field, buoyed by a combination of a weaker US dollar, supply shortages and healthy demand, as well as longer-term expectations of further demand bottlenecks arising on the back of electric vehicle production. Base and industrial metals are enjoying a run unseen since the early days of the great China-led mining boom from 2003 to 2014. If we look at the larger names in the field, companies such as South32 and Independence Group are cranking up new developments, with the Nova nickel mine a good indicator of a mining resurgence in WA. While many investors have been looking to commodities such as lithium and graphite when thinking of ways to leverage off the electric vehicles thematic, the market has been increasingly waking up to the implications for more conventional metals such as nickel, copper and zinc. VIC is off and running on its expansion plans in Western Australia. As an age-old proverb says, ‘a good run is better than a bad stand’ and we are hoping to see this micro-capped explorer begin to add velocity as it charges towards metals-market propulsion. With the Bonaparte Project now due to receive EM survey results in the coming weeks, in addition to news from both Bolivia and VIC’s other metals venture in WA, the Laverton Project, we are on course to see a string of potential share price catalysts before year’s end. That’s a fantastic position to be in, for both VIC’s management and shareholders, given the company’s ultra-micro-cap of $2.4 million and share price of 0.5 cents. The global metals recovery is underway, and taking several metals back into cyclical uplift territory. We’ve seen it happen with iron ore, lithium, copper, cobalt... now zinc is throwing its hand into the ring as a contender for Comeback King of commodity metals.